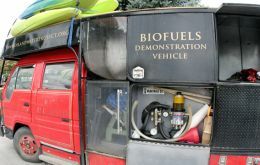 In a fire engine fuelled by Chilean chip fat, Mexican lard, Colombian palm oil, Argentine soybean and corn oil Seth Warren and Tyler Bradt completed last week the longest journey made without diesel or petrol. Venezuela's Permanent Representative to the Organization of American States (OAS), Ambassador Jorge Valero, assumed the chairmanship of the Permanent Council and talked about the need for deeper conceptual and institutional change within the hemispheric organization. 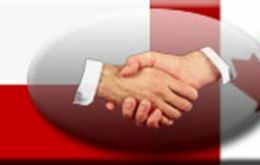 Chilean and Canadian authorities celebrated the 10th anniversary of the Free Trade Agreement (FTA) between the two countries on Wednesday in Santiago. 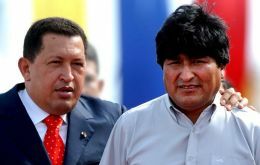 Morales: Following Chavez or own path? Rewrite the constitution: check. Redistribute idle land: check. Rail against U.S. imperialism: check. Nationalize the phone company: check. Spain has promised to resume development aid to Cuba in return for Havana's pledge to open dialogue on human rights. 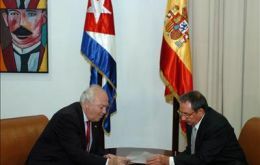 Spanish foreign minister Miguel Angel Moratinos held talks with Cuba's acting president; Raul Castro late on Tuesday. It was the first visit by a European Union minister since 2003. 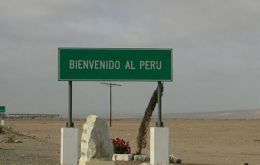 Peruvian nationalists are scheduled to illegally cross into Chile Wednesday in protest of a historic border dispute. But if the event goes as planned, Chile's Interior Minister Belisario Velasco warned Tuesday that the protest could turn deadly. 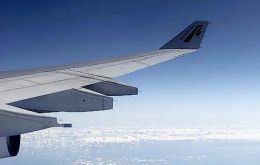 The battle between Chile's three principle domestic airlines, LAN, Sky and Aerolínes del Sur has become increasingly heated over the past months. Chile's Armed Forces announced Tuesday that the 16,050 new recruits for 2007 were all volunteers. Citing the new recruitment law which provided funding for marketing and better benefits for solders, over 40,000 applications were received for the available spots. 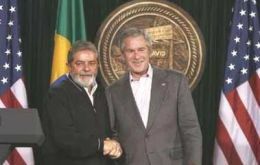 During January 2007 trade between Chile and Untied States reached 1.29 billion US dollars, up 26% from the same month in 2006, according to the latest report on bilateral trade from the Chilean-North American Chamber of Commerce. 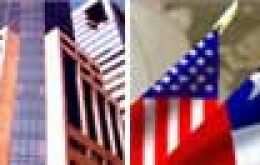 (AmCham).